Author: Zoran Pavlovic ~ Publisher: Zoki Games ~ Find It! 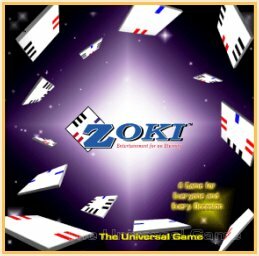 ZOKI® is a deck of 34 uniquely designed playing cards. The graphic devices and symbols used to identify the cards and their systematic arrangement on the cards allow for the creation of an unlimited number of different games that can be played with this 34 card deck.